Department of Human Anatomy,Faculty of Medicine, Ahmadu Bello University Zaria, Kaduna State-Nigeria. 81006. Idoko J; Akpulu S.P; Adamu Sadeeq A. The Effects of ethanolic extract of Ocimum gratissimum leaves on the liver of Adult Wistar rats were studied. Twenty four adult Wistar rats weighing between 150-250g were randomly divided into six groups of four rats each. Group 1 received 2mlv/v of distilled water, Group 2 received 54mg/kg of sodium Nitrite (NaNO2), Group 3 received 750mg/kg of extract +54mg/kg NaNO2, Group 4 received 375mg/kg of extract+54gm/kg NaNO2, Group 5 received 54mg/kg NaNO2 + 2ml/V of Olive oil while Group 6 received 2ml/V of Olive oil orally. At the end of the experiment which lasted for 21 days, the animals were sacrificed. Blood samples were collected for biochemical analysis and the liver was harvested and fixed in Bouin’s fluid for histological studies. The result showed decreased physical activities and increase rate of respiration in Group 2 and a decrease in the body weight of Groups 3 and 4 animals. The result of biochemical analyses of Liver parameters, showed a statistical significant increase in ALT, AST and a decrease in ALP in Group 2 when compared to the Control (p=0.001). The result of the histological studies of the liver showed that there was some damages in the Liver of the animals while the administration of O.gratissimum showed a mild effect in a dose dependent manner. The results from the present study suggest that O.gratissimum has the ability to ameliorate liver injury in Wistar rats. Key Words: Osimum Gratissimum, Scent Leaves, Sodium Nitrite, Liver, Wistar Rats. inactivation and damage of different organs (Abdeen, et al., 2008; El-Wakf, et al., 2009). The high oxidative stress indicator; lipid peroxidation could be attributed to the oxidative cytotoxicity of nitrite (Patsoukis and Georgiou, 2007). These observations have been reinforced by the successful use of several endogenous and exogenous antioxidants against nitric oxide induced cellular damage. Sidney, 1986, reported that trends in controlling and treating diseases tend to prefer natural compounds use rather than synthetic ones in scavenging produced free radicals species. Nitrite reacts with amines to produce nitrosamines and with amides to produce nitrosamides. Nitrosamines and nitrosomides constitute the N-nitroso compounds (NNC) and the reaction with nitrite is called nitrosation. Nitrosamines readily induced tumors of the liver, oesophagus, kidney, nasal cavity and pancreas and notrosamine chiefly induce tumors of glandular stomach, small intestine and nervous as well as lymphoid systems. The tissue effects depend on the species of the NNC and the system involved (Sidney, 1986). Excessive quantities of nitrate and nitrite consumption through food can be harmful to health (Leszczy-nska, et al., 2009; Chan, 2011). The ability of animals to resist the toxic effects of environmental agents is dependent on the detoxification and antioxidant systems. Several nutrients and other chemicals have been shown to be effective antioxidants, such as vitamins, trace elements, amino acids and their derivatives, fatty acids and plant phenolics (Bhattacharya, et al., 1987; Son, et al., 2004; Ayo, et al., 2006; Suteu, et al., 2007). The use of herbal products for medicinal benefits have important roles in nearly every culture on earth and herbal Medicine was practiced by the ancient people of Asia, Europe and the Americas (Wargovish, et al., 2001). Many natural and artificial Agents possessing anti-oxidative properties have been Proposed to prevent and treat liver and kidney damages induced by Oxidative stress (Lieber, 1997; Cervinkova and Drahota,1998). There is increasing evidence for the protective role of hydroxyl and polyhydroxy-organic compounds particularly from vegetables, fruits and some herbs (Bass, 1999). Ocimum gratissimum known as Scent leaf is a plant with root, stem and leaf systems (Iwu, 1993). O.gratissimum belongs to the family leguminocaeae, widely used local plant in Nigeria for both nutritional and Therapeutic purposes. It is naturally used in the treatment of different diseases which includes: upper respiratory tract infections, diarrhea, headache, conjunctivitis, skin disease, pneumonia, tooth and gum disorder, fever and as a mosquito repellant (Onajobi, 1986; Ilori, et al., 1996; Okigbo and Mneka, 2006). This study is aimed at evaluating the effect of ethanolic extract of Ocimum gratissimum leaves against sodium nitrite induced changes in the liver of adult Wistar rats. Twenty-four apparently healthy adult Wistar rats of both sexes weighing between 150g to 250g were purchase from the Department of Human Anatomy, Faculty of Medicine, Ahmadu Bello University Zaria Kaduna State. The animals were acclimatized for three weeks in the Department Animal house. The animals were fed with standard pellet and water ad libitum throughout the experimental period. The rats were divided into six Groups of four rats each. Fresh leaves of O.gratissimum were purchased from Sabon Gari Market Zaria Kaduna State-Nigeria. Identification and authentication was done in the herbarium of the Department of Biological Sciences, Ahmadu Bello University Zaria with voucher number 285. The Ethanolic extracts obtained were subjected to preliminary phytochemical screening to identify the chemical constituents. The methods of analysis employed were those described by Brain and Turner (1975). 12gm of sodium Nitrite manufactured by May and Baker limited Dagenhan England was purchased from Steve Moore Chemicals Limited Samaru Zaria-Nigeria. Goya Olive oil was purchased from Beautiful Gate Pharmaceutical Limited Samaru Zaria-Kaduna State, Nigeria. Growers feed from Vital feed was obtained from Samaru Market Zaria, Kaduna, Nigeria and was used to feed the animals throughout the experimental period. The Dose of the extract was determined using LD50 of 2500mg/kg body weight following the method of Rabelo et al., 2003. The stock solution was prepared by dissolving 12gm of the extract in 160 ml of Olive oil to form the stock solution, 30% (750mg/kg body weight) and 15% (375mg/kg body weight) of the LD50 were used in this study for the high and low dose respectively. The animals were randomly divided into six groups of four animals per group. Group 1 received 2ml/kg body weight of distilled water, Group 2 received 54mg/kg body weight of NaNO2, Group 3 received 750mg/kg body weight of the extract+54mg/kg body weight of NaNO2, Group 4 received 375mg/kg body weight of the extract+ 54gm/kg body weight of NaNO2, Group 5 received 54mg/kg body weight of NaNO2+2ml/kg body weight of Olive oil, Group 6 received 2ml/kg body weight of Olive oil. After the last day of administration, the animals were left for 48 hours and were fasted overnight before sacrificed. The animals were humanely sacrificed by cervical dislocation and the blood collected through cardiac puncture for hematological and biochemical analyses. Incisions were made through the abdomen and the liver was removed and fixed in Bouin`s fluid. The tissues were processed, sectioned and stained with hematoxylin and eosin and Cresyl fast violet methods. Data obtained from the haematological and biochemical analysis was reported as Mean ± Standard Error of Mean (SEM). One way Analysis of Variance (ANOVA) was used to compare the means w;ith values of p<0.05 was considered to be statistically significant. Sigmastat 2.0 (Systat Inc, Point Richmond, CA) was used for the statistical analysis. Several physical observations were made during the period of administration ,except the animals in group one that received 2ml/kg body weight of distilled water and group six that received 2ml/kg body weight of Olive oil which their activities including locomotion and feeding habit were observed to be normal; The animals in group two which received 54mg/kg body weight of NaNO2 were observed to be weak and breathe faster when compared to the animals in group one and six that received distilled water and olive oil respectively. However, there was no detectable change in the animals feeding habit. Meanwhile, the animals in group five which received 54kg/body weight of NaNO2 and 2ml/kg body weight of Olive oil showed physical observations similar to the animals in group two. The animal in group three which received 54mg/kg body weight of NaNO2 and 75mg/kg body weight of the extract were observe to be feeding very well and drink a lot of water when compared with the animals in the control group. However there was no significant difference in the physical observation of the animals in group four which received 54mg/kg body weight of NaNO2 and 375mg/kg body weight of extract when compared with the animals in group three. rapid increase in weight than the others. However, there was no statistical significant different in the mean body weight of the animals across the group. In the control group, apparent increase in the final mean body weight was noticed when compared with the initial mean body weight. Meanwhile the animals in group three showed a significant decrease in the final mean body weight (213.00±30.89) when compared with the initial mean body weight (218.75±36.50). However, the animals in group four were also observed to show a significant decrease in the final mean body weight (207.25±27.09) when compared with the initial mean body weight. The decrease in the final mean body weight of the animals in group Three and four could be due to the hypoglycemic and diuretic potentials of the extract. However, there was significant increase in the final mean body weight of the animal in group five (216.00±28.44) when compared with the initial mean body weight (193.75±25.03). Meanwhile, the final mean body weight of the animals in group six showed increase in their mean body weight when compared with the animal in group five. However the increase in the mean body weight of the animals in group five and six could be due to fat accumulation as a result of the administration of Olive oil. However, there was no statistical significant difference in the mean kidney and liver weight of the animals across the group when compared with the control group. Sodium Nitrite may react with amines of food in the stomach to produce nitrosamine and free radicals may increase lipid peroxidation which is harmful to different organs including the liver. These damages can be reduced by dietary natural antioxidant and the present study was undertaken to determine if Ocimum gratissimum could prevent or reduce NaNO2 induced liver damage by examining the different biochemical parameters in the serum. The liver play important roles in toxicity by virtue of its function both qualitatively and quantitatively. Results from the present investigation show that O. gratissimum is rich in phytochemicals and specific biologically active components have been identified in extracts from the plant by previous workers (Koche,et al., 2012; Dubey, et al., 2000; Holets, et al., 2003). The decrease in physical activities and increase in the rate of respiration observed could be due to reduced energy generation as a result of hypoxia due to methemoglobin formation. These results of the present study are in agreement with Grant and Butler (1989) and Porter, et al. (1993).The apparent decrease in the mean body weight observed could be due to the hypoglycaemic and diuretic effect of the extract. This result is in agreement with Effriam et al. (2003) and Oguanobi et al. (2012), which showed that aqueous and ethanol extracts of Ocimum gratissimum leaves possess hypoglycaemic effects in normoglycaemic and neonatal streptozocin-induced diabetes model. The rats treated with sodium nitrite showed significant decrease in mean body weight than the Control Group throughout the experiment periods, and this reduction may be due to the reduction of food intake (Grant and Butler, 1989) or Vitamin C deficiency (Uchida, et al.., 1990). In general, the reduction in body weight may be attributed to the decrease in food intake, the disturbance in hormonal balance and direct cytotoxic effect of sodium nitrite treatment. Normal liver functions are characterized by balanced activities of serum enzyme markers AST, ALT and ALP. Hepatocellular necrosis leads to a very high level of AST, ALT released from the liver into the blood. ALT is the best indicator of liver injury, as liver ALT represents 90% of total enzymes presents in the body (Moss, et al., 1974). ALP activities on the other hand are related to the functioning of the hepatocytes, increase in its activity is due to increased synthesis in the presence of increased biliary pressure (Pradhu et al., 2007). 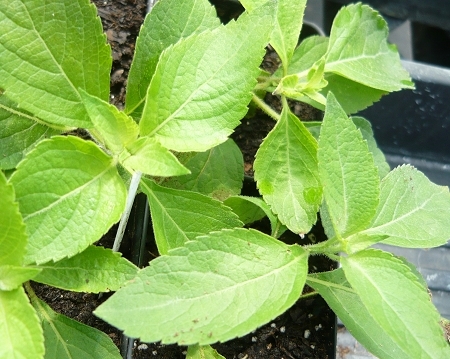 Ethanolic extract of Ocimum gratissimum decreases the elevated level of AST and ALP, which suggest the protection of the structural integrity of hepatocytes cell membrane or regeneration of damaged liver cells by extract. This effect is in agreement with the view that serum level of aminotransferases returns to normal with the extract while there was a decrease in the level of ALT in Group 3. However, there was increase in the ALT in Groups 4 and 6 which is in agreement with the view that the serum level of aminotransferases returns to normal with healing of hepatic parenchyma and regeneration of hepatocytes (Surana and Jain, 2010). Information available showed that nitrites and nitrates are both oxidation products and ready sources of nitric oxide (NO) which reacts rapidly with superoxide to form highly reactive peroxynitrite (ONOO?) and such products may increase lipid peroxidation (LPO) which can be harmful to different organs including liver (Chow and Hong, 2002; Hassan et al., 2009; Rocha et al. ; 2012). The liver is liable to injury by a variety of causes and the injury may lead to profound metabolic disorders. Liver injury induced by chemicals has been recognized as one of the most toxicological problems (Cohen, 1982). In the histological examination of the liver, there was no lesion observed in the Control Group (one) and Groups six (Olive oil only). The characteristics of the liver lesion observed in the rats given concurrent doses of sodium nitrite and Ocimum gratissimum were congestion of central vein, necrosis of the hepatocytes, dilation of sinusoid. The administration of sodium nitrite alone caused prominent histological damage in the liver compared with the Control and these results are in accordance with Hussein et al. (2007), Klastskin and Oconn (1993) who attributed the dilatation of the sinusoids to the direct toxic effect of the toxin leading to their dilatation. When comparing Groups 3 and 4 that were given O.gratissinum to Group 2, it showed that O. gratissimum had the ability to ameliorate the effect of NaNO2 on the liver but in a dose dependent manner of which the low dose showed a better effect of O.gratissimum on the liver histology than high dose when compared to the Control. The present study has demonstrated the NaNO2 (sodium nitrite) induced changes in the liver and that the ethanolic extract of Ocimum gratissimum has significant beneficial role in overcoming the NaNO2 induced adverse effects which may be through its antioxidant properties. Seroprevalence of Insulin Autoantibody (IAA) and Islets cell Autoantibody (ICA) In Edo State, Nigeria. Pattern of Abnormal Liver Enzymes Activities in Diabetic Patients in Zaria.